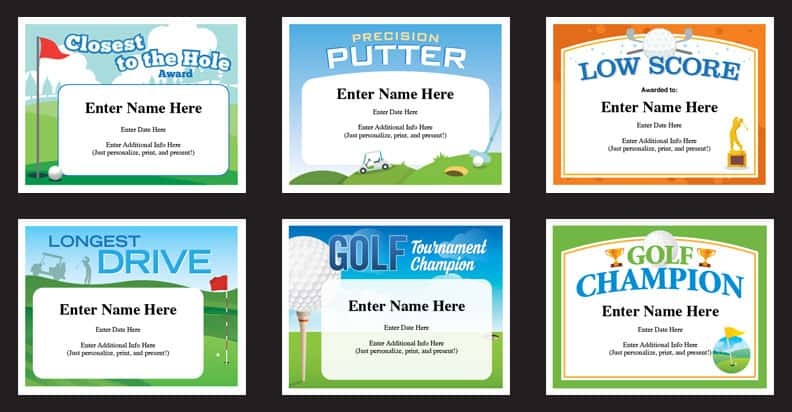 Golf Certificates Templates – Here’s a great set of golf certificates to use for course tournaments, company tournaments and golf teams. All you have to do is personalize, print and present. Or, take screen captures and send them digitally or post on social media like Facebook and Twitter. Fore! Closest to the Hole certificate. These fun designs look good on bulletin boards, in office cubicles and on the family fridge. Award them to golfers at award dinners immediately after the tournament. They’re a low cost way of providing recognition to golfers who performed on the course. Check out the American Junior Golf Association. 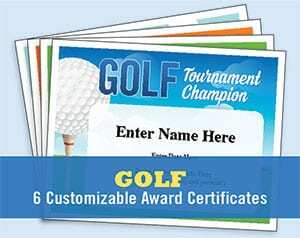 With purchase, you’ll receive a link that will enable you to instantly download the PDF file featuring these 6 golf certificates. PDFs work on Macs and PCs. Just make sure you have the latest version of Adobe Reader (which is available for free). Type in name, date, and other details into the text fields. Personalize, print and present! It’s that easy. These golf certificates look so nice that some winners may choose to have them framed, and others will just post them as is. Either way, they’re a great keepsake to remember a great day golfing. With the golf certificates personalized and each field printed, these certificates are designed for display and look polished and professional. Your golf winners will appreciate them. Add some fun golf quotes to these awards. Check out: Mini Golf Guide: Much Ado About Putting. 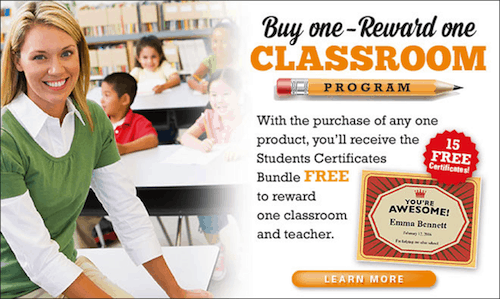 Purchase the Golf Certificates Templates, and receive the Classroom Bundle FREE!